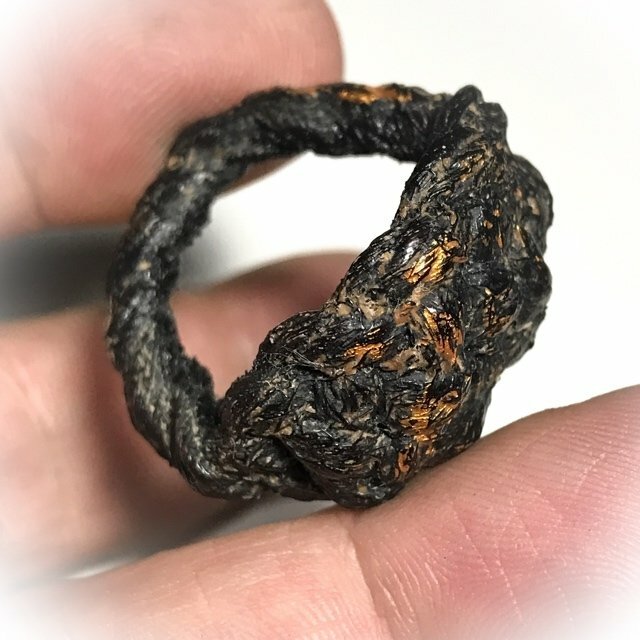 Hwaen Pirod Ancient Warriors Ring made from Corpse Cloth Yantra Sinjana Cords with Lacquer Ancient Amulet by Luang Por Muang Wat Ban Tuan Circa 2460 BE or earlier. 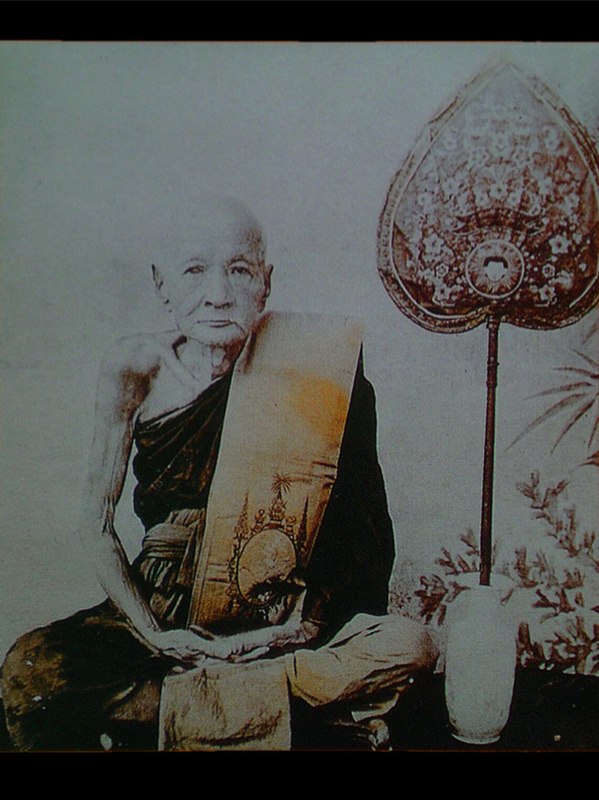 Luang Por Muang Jantasaro of Wat Ban Tuan, Amper Ban Tuan, Kanjanaburi Province, is an Old Gaeji Ajarn Guru Monk of Great Fame who was in his Heyday during the First World War. 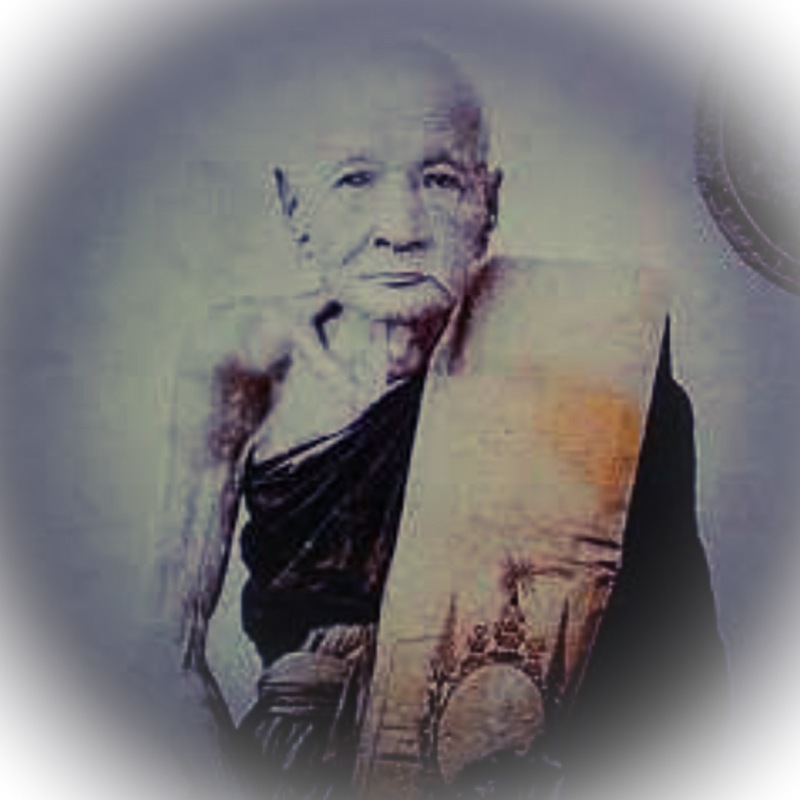 He was around in the same era as the Great Luang Por Ngern of Wat bang Klan and was a very famous and revered Master during those days. 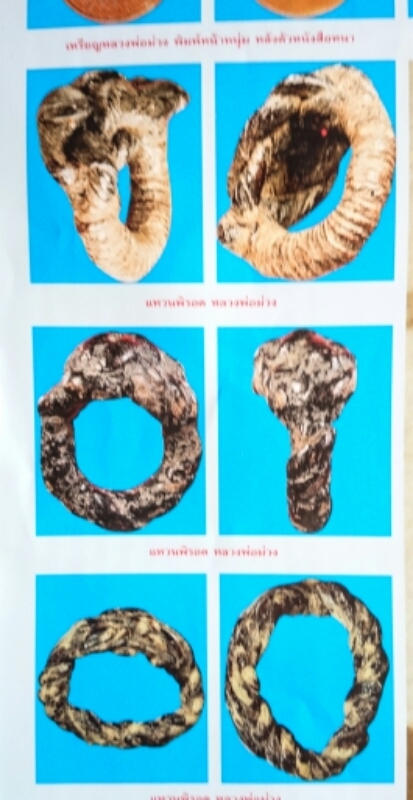 He would use 'Pha Hor Sop Dtaay Hoeng' (cloth used to wrap Hoeng Prai corpses who died in sudden circumstances - a prerequisite for Prai Necromantic Sorcery power to be at its most powerful) cloth for their making. 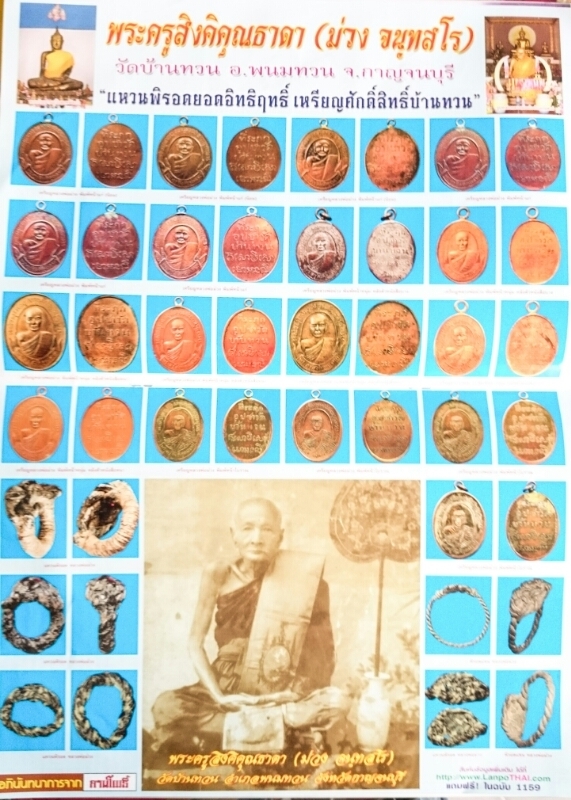 He use the full and complete 'Dtamra' (formula of legend) of the Wicha used dureing the Ancient Ayuttaya period, which he had recieved passed down to him from his lineage Masters, which was used by the first Kings of Thailand (Pra Naresuan Maharaj). 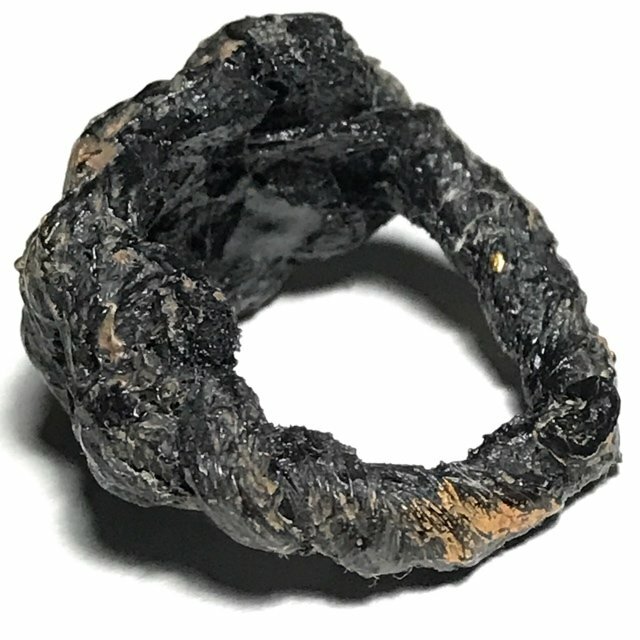 Once he has made and bound the rings into their shape and form, he would then perform Invocations and Ritual Methods of Empowerment, and then throw the rings into the blazin ritual fire. 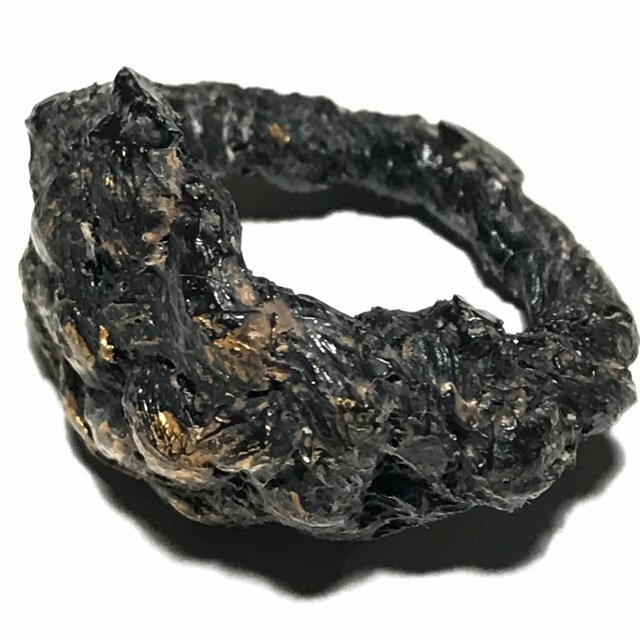 If the ring would birn, then he would destory it and not use it, for this would mean that not enough Samadi Meditative Concentration had been applied, and would begin again and make a new ring. 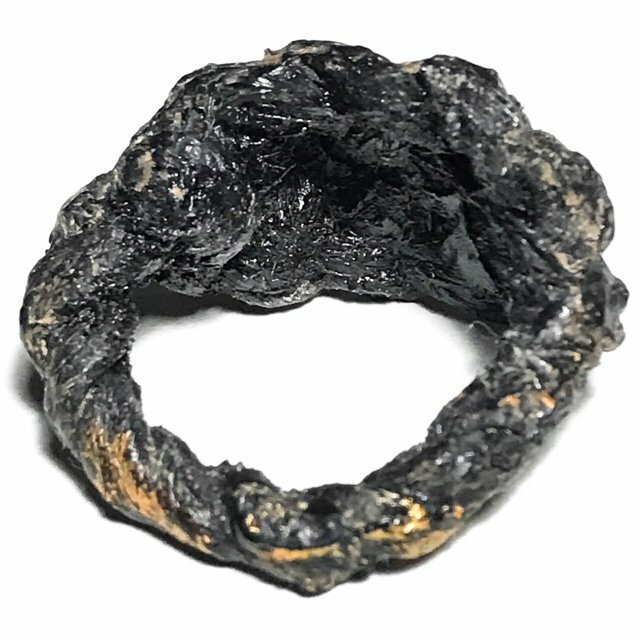 Only the rings which did not burn in the fire, would be used. 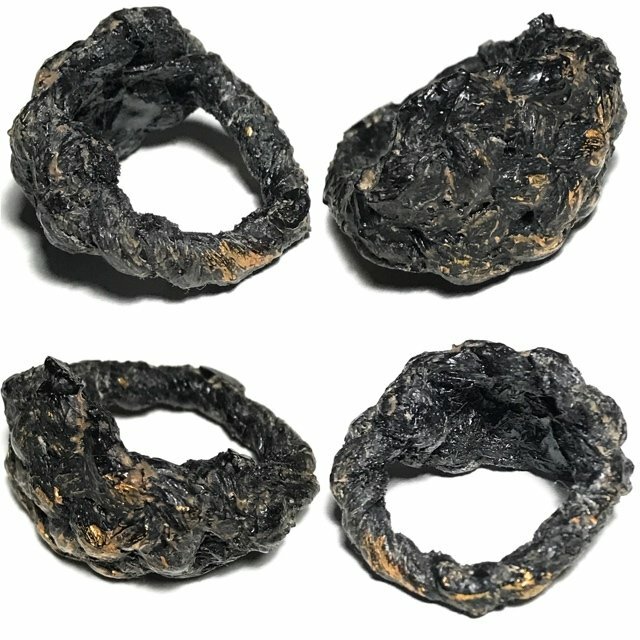 Those rings which proved through the fire test that they possessed true power, would be taken and covered in herbal lacquer to make them last for centuries (Pirod means burning flame, hence 'Waen Pirod' means Flaming Ring - and is fireproof). 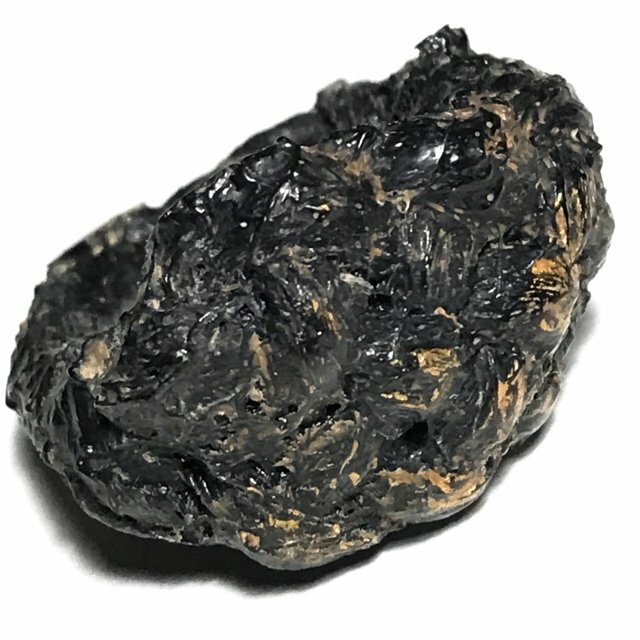 Luang Por would use a reddish lacquer similar to Chinese lacquer which was used in those days, but which turns black in time. 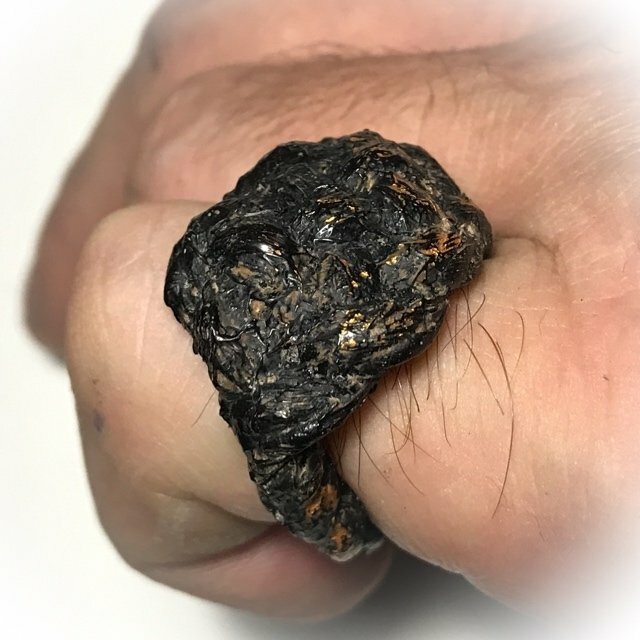 He would dip the rings many times to get a thick coating, but this kind of lacquer would slowly crack and form small openings as the years passed hy, which is part of the immense beauty and attraction of the Waen Pirod of Luang Por Muang. 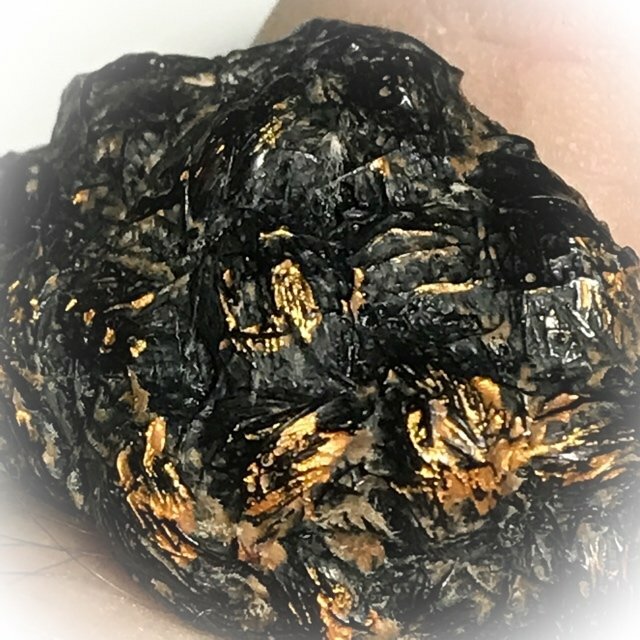 To authenticate and know what a real Waen Pirod (for indeed such a sought after item has many forgeries around) one should know to examing the lacquer and see the slight cracks and the beige browonish sinjana cord and corpse cloth within that is visible through the cracks of the lacquer. One should also notice small areas of reddish tints where the original red lacquer color still resonates through the darkened lacquer surface. Luang Por Muang's famous Waen Pirod is reputed to have many magical powers, amongst them are said to be invincibility and safety in dangerous situations, as well as in the olden days as people would have to enter the deep jungle, that the ring will protect agains all sorts of dangeorus animals, ghosts and demons, and poisonous beats such as cobras, scorpions and hunting animals such as the tiger. Demons and Prai Hian Ghosts will not dare to approach. Maha Ud (gunstopper), and protection agains all sorts of weaponry. This is a truly ancient amulet, and is is roughty one century old.